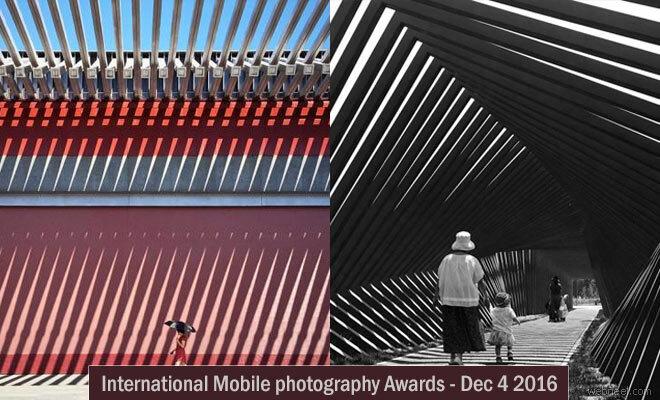 The largest international mobile photography awards and events is calling for entries before December 4th 2016. This is an annual event and MPA is celebrating it's sixth edition this year. Here is your chance to win $3000, prize package which includes olloclip lens. How to submit your entries? You need to have an MPA account and only from registered accounts you can submit the entries. Then sign in to your profile where you may purchase entries and upload your images. Categories: Architecture & Design, Black And White, Digital Art / Photo Illustration, Landscapes, Macro/Details, Nature And Wildlife, People, Photo Journalism, Portraits, The Darkness, Travel & Adventure, Still Life, Self-Portraits, Silhouettes, Street Photography, Transportation, Visual Fx, Waterscapes/Snow/Ice and The Photo Essay. According to MPA, "The Mobile Photography Awards were founded in 2011 to recognize and celebrate the talent and imagery of the mobile photo & art communities. Alongside our annual competition (October-December), we produce themed exhibits with international open calls throughout the year".